On October 16, 2017, about 1430 Alaska daylight time, a Cessna 210-5 airplane, N8347Z, impacted the Yukon River about 10 miles southwest of Russian Mission, Alaska. The private pilot sustained fatal injuries, and the airplane was destroyed. The airplane was registered to and operated by the pilot under the provisions of Title 14 Code of Federal Regulations Part 91. Instrument meteorological conditions prevailed at the accident site. No flight plan had been filed for the visual flight rules (VFR) flight, and no record of the pilot receiving a preflight weather briefing could be found. The flight originated about 1415 from Kako Airport, Kako, Alaska, with a destination of Bethel Airport (PABE), Bethel, Alaska. Visual meteorological conditions were reported at the time of departure. According to a pilot of an airplane that departed about 10 minutes ahead of the accident airplane on the same route of flight and also destined for Bethel, widespread areas of low-level fog (between 400 and 600 ft above ground level [agl]) existed along the route. This pilot stated, during a postaccident interview, that he conversed with the accident pilot (after he departed from Kako) about the fog layers. No further radio communications occurred between the pilots. The interviewed pilot indicated that he tried to contact the accident pilot about 15 minutes after their conversation but received no response. After arriving at PABE and loading passengers, the interviewed pilot departed for a return flight to Kako. During that flight, he searched for the accident pilot's airplane but could not locate the airplane. After landing at Kako, the interviewed pilot notified the Federal Aviation Administration (FAA) Flight Service Station about the overdue airplane, and the FAA issued an alert notice (ALNOT) at 1748. On October 17, the accident airplane was located submerged in the Yukon River about 10 miles southwest of Russian Mission. The interviewed pilot stated that he flew his airplane at 1,500 ft agl above the fog and with 20-mile visibility. The pilot also stated that, at that altitude, he could see fog laying on the ground, on hills, and over the Yukon River. He did not know the altitude of the accident airplane but indicated that, in the area of the accident site, the fog was thick with no holes visible. The pilot, age 31, held a private pilot certificate with an airplane single-engine land rating. The pilot did not have an instrument rating. His most recent third-class medical certificate was issued on February 1, 2014, without waivers or limitations. At the time of the pilot's application for his medical certificate, he reported 35 hours of total flight experience. A relative of the pilot estimated that he had accumulated about 160 hours of total flight experience. The airplane was manufactured in 1963 and was equipped with a Continental Motors IO-470 series engine. The airplane's last annual inspection was completed on September 8, 2017. At that time, the airplane had accumulated 5,533.7 total hours, and the tachometer displayed 1,649.2 hours. The National Transportation Safety Board (NTSB) performed a detailed weather study for this accident. Russian Mission Airport, located about 9 nautical miles (nm) north-northeast of the accident site, was the closest airport with official weather observations. At 1413 (about 17 minutes before the accident), a METAR reported the following information: wind from 140° at 3 knots; visibility 10 statute miles; scattered clouds at 300 ft agl, scattered clouds at 2,600 ft agl, and broken ceiling at 3,600 ft agl; temperature 37°F; dew point 36°F; and altimeter setting 29.68 inches of mercury. At 1446 (about 16 minutes after the accident), a METAR reported the following information: wind from 170° at 4 knots; visibility 10 statute miles with light rain; scattered clouds at 1,000 ft agl, broken ceiling at 2,300 ft agl, and overcast skies at 3,400 ft; temperature 37°F; dew point 34°F; and altimeter setting 29.68 inches of mercury. In addition, the 1446 METAR reported that the rain began at the airport at 1432. 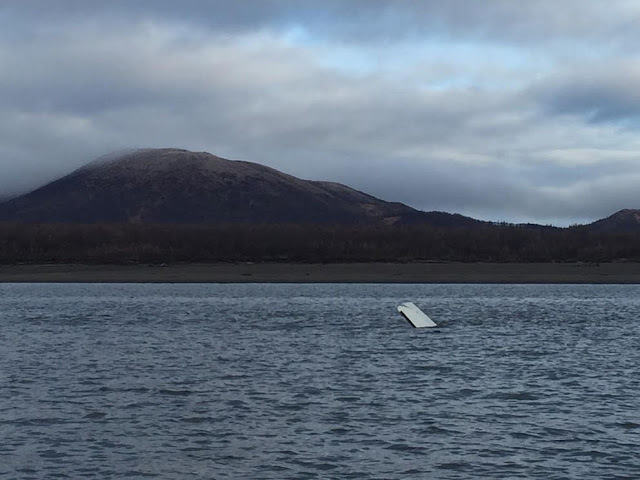 Marshall Don Hunter Sr. Airport, Marshall, Alaska, the next closest airport with official weather observations, was located 21 nm northwest of the accident site. At 1356 (34 minutes before the accident), a METAR reported wind from 250° at 4 knots, visibility 10 statute miles, broken ceiling at 2,700 ft agl and overcast skies at 3,500 ft agl, temperature 37°F, dew point 35°F, and altimeter setting 29.67 inches of mercury. Only one pilot report (PIREP) was available for the 3 hours surrounding the accident at an altitude below 18,000 ft and within 200 nm of the accident site. The PIREP was reported over Aniak, Alaska (about 50 nm southeast of the accident site), at 1512. The pilot of a Cessna 208 reported an overcast ceiling at 700 ft with cloud tops at 4,000 ft. The area forecast issued at 1206, which was valid at the time of the accident, forecasted an AIRMET for instrument conditions, broken to overcast ceiling at 300 ft with cloud tops at 10,000 ft, and visibilities below 1 mile in mist with improving conditions forecast into the afternoon and evening hours. The closest National Weather Service Weather Surveillance Radar-1988, Doppler (WSR-88D) was near PABE, located 52 miles south-southwest of the accident site. The radar detected reflectivity targets and associated rain showers above the accident site at 1422 and 1432. The area of rain showers was moving from southwest to northeast and had moved over and past the accident site between 1402 and 1442. No lightning strikes were at or near the accident site at the accident time. The FAA's aviation weather cameras in Russian Mission showed the weather conditions surrounding the time of the accident. Images from the south- and southwest-facing cameras depicted rain shower conditions with the rain showers moving across the area with low ceiling and visibility conditions within the rain showers beyond the visibility reference point. The south-facing camera also indicated a low bank of clouds toward the Yukon River, the accident site, and along the intended flight route. The airplane was located about 10 miles southwest of Russian Mission, submerged about 15 ft in the Yukon River. The main wreckage was recovered and moved ashore. A portion of the forward fuselage, the engine, and the wings were located but could not be recovered. The location of these parts items has been confirmed using SONAR equipment and will be examined if they are eventually recovered at a later date. The horizontal and vertical stabilizers remained attached to the empennage. The vertical stabilizer and left horizontal stabilizer were relatively free of impact damage. About 3 ft of the outboard portion of the right horizontal stabilizer and elevator was displaced about 45° up and was absent any leading-edge nicks or gouges. The aft fuselage separated from the forward fuselage at the upper production joint near the forward end of the rear windows. The rivets from the upper production joint on the left side were pulled through the joint, which was consistent with the left wing rotating forward during impact. The rivets from the upper production joint on the right side did not pull but were popped out, which was consistent with the right wing rotating aft during impact. The front left (pilot) seat was located about 5 miles downstream from the main wreckage location. The seat did not show any evidence of compression damage. The front right (copilot) seat was located about 10 miles downstream from the main wreckage location. Compression damage appeared on the bottom of the seat on the right side. More compression was found on the forward right side of the seat than on the rear right side. The left side of the seat showed relatively little crushing damage. The State of Alaska Medical Examiner's Office, Anchorage, Alaska, conducted an autopsy of the pilot. His cause of death was multiple blunt force injuries. The FAA's Bioaeronautical Sciences Research Laboratory, Oklahoma City, Oklahoma, performed toxicology testing on specimens from the pilot, which were negative for drugs, ethanol, and carbon monoxide. The airplane was equipped with a J.P. Instruments (JPI) Engine Data Monitor (EDM) model 730, installed under STC SA00432SE and STC SA2586NM. The EDM model 730 is a panel-mounted LCD display that can monitor and record up to 24 parameters related to engine operations, including cylinder head temperature for each cylinder, exhaust gas temperature for each cylinder, fuel flow, fuel pressure, RPM, manifold pressure, and oil pressure and temperature. The EDM was removed from the accident airplane and sent to the NTSB's Vehicle Recorders Laboratory in Washington, DC, for download. The data began recording at 1418:42 and were recorded in 6-second intervals. At 1420:30 and 1421:30, the engine parameters appeared consistent with the engine run-up. The manifold pressure, rpm, and other engine parameters appeared consistent with the takeoff roll at 1421:40. For about the next 9.5 minutes, until the data recording ended at 1431:06, all engine parameters appeared nominal. Specifically, the final set of recorded data indicated that the cylinder head temperatures ranged from 290° to 365° F, exhaust gas temperatures ranged from 1,404° to 1,503° F, fuel flow was 13.1 gallons per hour, rpm was 2,415, manifold pressure was 23.4 inches of mercury, oil pressure was 39 psi, and oil temperature was 123° F. The EDM specialist's factual report is in the public docket for this accident. The attitude indicator was also removed from the airplane and was examined by the NTSB Materials Laboratory in Washington, DC. The indicator's glass face was intact with slight scratching damage. No significant deformation damage was found on the outside of the case. After disassembly, the gimbals were found to move freely. Further disassembly to the gyro revealed wetness and corrosion, but the rotor spun freely on the shaft within its housing. No scoring or deep gouge marks were observed in either the rotor or gyro housing surfaces. The flight attitude of an airplane is generally determined by the pilot's visual reference to the natural horizon. When the natural horizon is obscured, attitude can sometimes be maintained by visual reference to the surface below. If neither horizon nor surface visual references exist, the airplane's attitude can only be determined by artificial means such as an attitude indicator or other flight instruments. Surface references or the natural horizon may at times become obscured by smoke, fog, smog, haze, dust, ice particles, or other phenomena, although visibility may be above VFR minimums. This is especially true at airports located adjacent to large bodies of water or sparsely populated areas, where few, if any, surface references are available. Lack of horizon or surface reference is common on over-water flights, at night, or in low visibility conditions. To prevent spatial disorientation, the brochure recommended relying on flight instruments when flying in reduced visibility conditions and not attempting visual flight when there is a possibility of being trapped in deteriorating conditions. On October 16, 2017, about 1430 Alaska daylight time, a Cessna 210-5 airplane, N8347Z, impacted the waters of the Yukon River, about 10 miles southwest of Russian Mission, Alaska. The private pilot sustained fatal injuries, and the airplane was destroyed. The flight was being operated by the pilot as a 14 Code of Federal Regulations (CFR) Part 91 visual flight rules (VFR) flight. Visual meteorological conditions were reported at the time of departure. No flight plan had been filed and there is no record of the pilot receiving a preflight weather briefing. The flight originated about 1415 from the Kako Airport, Kako, Alaska, and it was destined for Bethel, Alaska. According to a pilot that departed about 10 minutes ahead of the accident pilot on the same route of flight and also destined for Bethel, wide-spread areas of low level fog existed along the route. He stated in an interview that after both aircraft departed and were airborne, he conversed with the accident pilot and discussed the fog layers. He flew his route at 1,500ft above ground level (agl), above the fog and in good visibility but he was unsure of the altitude of the accident pilot. He estimated the fog existed between 400ft agl and 600ft agl. When he tried to contact the accident pilot about 15 minutes later, there was no response and no further radio communications were received. After arriving in Bethel and loading passengers, the interviewed pilot departed for a return flight to Kako. Along the flight, he searched for the second airplane, but was unsuccessful in locating the airplane. After landing at Kako, he notified the FAA Flight Service Station and an alert notice (ALNOT) was issued at 1748. On October 17, the airplane was located about 10 miles southwest of Russian Mission, submerged in the waters of the Yukon River. The main wreckage was recovered and moved to shore. To date, a portion of the forward fuselage, the engine and wings remain submerged. The location of these items has been confirmed using SONAR equipment and will be examined if recovered later. The closest official weather observation station is Russian Mission, which is located about 10 miles northeast of the accident site. At 1413, a METAR was reporting, in part, wind 140° at 3 knots; visibility 10 statute miles; clouds and ceiling 200 ft scattered, 2,600 ft scattered, 3,600 ft broken; temperature 37° F; dew point 36° F; altimeter 29.68 inches of Mercury. The remains of a pilot who went missing Monday while flying a small plane from Russian Mission to Bethel were found Friday evening, Alaska State Troopers said. Around 7 p.m. Friday, the remains of Kyle Stevens, 31, were recovered from the Yukon River, troopers said in a dispatch Saturday afternoon. Troopers located the remains using sonar. Stevens' family has been notified, troopers said. Stevens worked at the Kako Retreat Center in Russian Mission. He had been flying to Bethel to pick up volunteers, according to the center's Facebook page. "Kyle was vivacious, funny, honest and kind," the Christian mission said in a Facebook post. "He loved the Lord with all his heart and he poured his life, passion and love into serving the Yupik and Athabascan kids of the (Yukon-Kuskokwim) Delta." Stevens and his family — his wife, Ella, and their two daughters, Kate and Lauren, according to the Kako Retreat Center website — also lived at the Christian mission, said his co-worker Sharon Penz. He was the director of the kids' summer camp there, she said. Another pilot traveling with Stevens in another airplane had reported "that he had encountered heavy fog," troopers said earlier this week. Stevens' plane was located in the Yukon River, about 10 miles downriver from Russian Mission on Tuesday, troopers said. Photo of missing pilot, Kyle Stevens, and family. Bad weather Wednesday prevented search crews from reaching the site where wreckage of a small plane was found in the Yukon River. National Transportation Safety Board investigators said they will fly to Bethel on Thursday, with hopes of reaching the wreckage by helicopter. Cheri Stevens, the pilot's mother, wrote "Kyle is known and loved in Alaska villages by the native children, whom he has served for 12 years at Kako Retreat Center, first as a counselor, and then as a camp director. He has delighted in making it a secure and happy place for the children who come. His passion in life has been to help them to know the truth about God from the Bible, so that they can have their sin forgiven and receive eternal life by repenting of their sin and trusting and following Jesus Christ . Kyle has also delighted in mentoring the young people who come to work and counsel at the camps. He is loved by all who know him and has impacted the lives of many people. 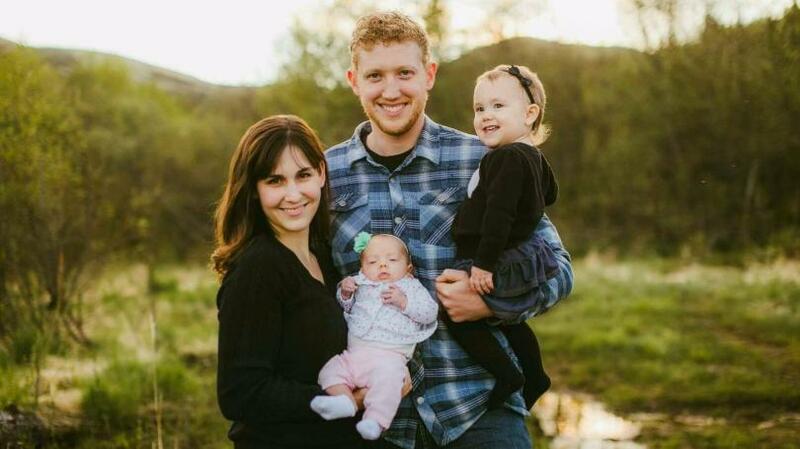 Kyle is extremely loved by his family---his wife Ella and two young daughters, Lauren, 7 months, and Kate, 2 years, who live at the Kako Retreat Center near Russian Mission, and his mother and eight siblings, many of whom have counseled at the children's camps through the years. Kyle's plane went down while doing the work of the ministry that he has cared so much about. He was not afraid to die because death means being with the Lord that he loves." Tuesday afternoon, Alaska State Troopers located Stevens' plane approximately 10 miles downriver from Russian Mission in the Yukon River. Officials towed the plane out of the river and onto the bank, where it was positively identified as the missing plane. Troopers said Stevens remains unaccounted for, and that his next of kin have been updated as to the situation. Correction: In a previous release, Alaska State Troopers incorrectly stated that a USCG helicopter was participating in the search effort. Instead, it is the Air National Guard who is assisting in the search. The search is underway for a missing pilot, after he did not arrive at his Bethel destination on Monday. Early Tuesday, Alaska State Troopers confirmed that Kyle Stevens, 31 of Russian Mission, was missing. Officials say Stevens was flying from Kako to Bethel along with another pilot in a separate aircraft. When that pilot arrived in Bethel, but Stevens did not, he notified authorities with the Rescue Coordination Center. "The other pilot had reported that he had encountered heavy fog around the area of the Russian Hills," troopers wrote in a dispatch. Stevens was last seen near Russian Mission, and search efforts were concentrated in that area Tuesday. Stevens was flying a Cessna 205, tail number N8347Z, maroon in color with a white stripe. "Right now we're playing the waiting game," said Clint Johnson with the National Transportation Safety Board. On Monday, AST says aircraft with the Civil Air Patrol was launched from Bethel and an Air National Guard HH-60 launched from JBER to assist in the search efforts; however, they had to turn back due to "weather related issues." Both CAP and ANG continued their search efforts early Tuesday morning. Rescuers searching for a Russian Mission pilot found the man's airplane in the Yukon River downriver from the village, but the man himself is still missing, Alaska State Troopers said Tuesday. Kyle Stevens, 31, went missing Monday while flying a small plane from Russian Mission to Bethel to pick up volunteers for the Christian mission where he works, a co-worker said. His plane was found about 10 miles downriver from Russian Mission, and boats towed it to shore, said troopers spokeswoman Megan Peters. "Stevens remains unaccounted for," Peters said, adding that troopers have updated his family about the situation. 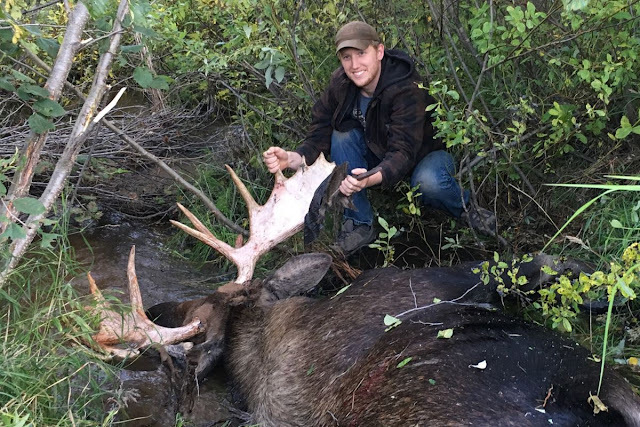 Stevens is well known across the Yukon-Kuskokwim Delta for his role as a summer camp counselor at the Kako Retreat Center, about 10 miles north of the village, said Sharon Penz, who works at the mission. "A lot of people are desperately praying for him," Penz said Tuesday morning. Stevens was flying his own personal plane, a donation from his mother that arrived just last week to help Stevens provide outreach in villages across the region, Penz said. Stevens is married with two young children, she said. He has worked at Kako for many years. Penz said her husband, Jonathan, was traveling ahead of Stevens in a separate Cessna plane on Monday. Her husband encountered heavy fog along the route. He notified authorities when Stevens failed to land in Bethel. Russian Mission is situated along the Yukon River, about 70 miles north of Bethel. State troopers received a report of the missing pilot at 6:29 p.m. Monday, the agency reported Tuesday. Aircraft from the Civil Air Patrol in Bethel conducted aerial searches Tuesday, along with an Alaska Air National Guard helicopter from Joint Base Elmendorf-Richardson. The helicopter had also taken off Monday night in an effort to search for the plane but turned back because of poor weather, said Peters. Daryl Polty, a former search and rescue coordinator in Russian Mission, said he helped with the search on Tuesday. A boater traveling along the Yukon River from another village spotted the plane in the water Tuesday and contacted Russian Mission by short-wave radio, Polty said. The boater's information was relayed to a small commercial airplane leaving Russian Mission, whose pilot relayed the plane's coordinates to state troopers, Polty said. Polty said Tuesday evening that Russian Mission search teams will continue looking for Stevens, with a "full-scale" search expected on Wednesday. "They'll be looking on the river, and the islands and sandbars and fish camp areas," Polty said, for any sign of Stevens. Polty said he hopes the break in the weather on Tuesday continues to hold, and there won't be the rain, fog and sometimes snow that the area has been seeing lately. "With God's hands, I hope we find him and he's OK," Polty said. Correction: An earlier version of this story, citing Alaska State Troopers, said the Coast Guard was conducting an aerial search, but the Coast Guard said Tuesday afternoon it was not. Update: On Tuesday at about 1:36 p.m., Kyle Stevens' family was notified that the wreckage of Stevens' plane has been found. Kyle Stevens himself is still missing. Stevens took off from Russian Mission yesterday, piloting his small, maroon plane. A beloved summer camp counselor at the Kako Retreat Center, Stevens was headed to Bethel to pick up volunteers for the Christian mission that he works with. He was supposed to land in town yesterday, but his plane never arrived. Another pilot who was traveling with Stevens in a separate plane said that he encountered heavy fog as he flew above the Russian Hills. State Troopers and rescue workers are looking for Stevens, and the Civil Air Patrol and Air National Guard are helping conduct an aerial search for the pilot and his plane. Stevens’ missing plane is a maroon Cessna 205 with a white stripe. Its tail number is N8347Z. If you see any sign of it, or have any information about his whereabouts, please contact the Bethel State Troopers at 907-543-2294. KYUK's reporting on Stevens' disappearance is ongoing. Correction: In a previous version of this story, we reported that Stevens was a resident of Russian Mission. According to his brother-in-law, James Buckingham, he resides at the Kako Retreat Center outside of the village. We regret the error. UPDATE: While an aircraft was found 10 miles downriver of Russian Mission, and verified as being the missing airplane, there is no sign of the missing pilot. The aircraft was towed to the bank of the river. Steven’s next of kin were notified of the discovery. ORIGINAL: Alaska State Troopers received a report at 6:29 pm on Monday evening, advising them that there was a missing aircraft that was traveling between Russian Mission and Bethel. According to the report by troopers, 31-year-old Kyle Stevens, of Russian Mission was flying from Russian Mission to Bethel with another pilot flying with him in a separate aircraft. The pilot flying the same flight path as Stevens reported the aircraft, a maroon Cessna 205 with a white stripe, bearing the tail number N8347Z, called in the report, when that plane failed to land in Bethel. The pilot reported that they had encountered heavy fog in the Russian Hills area. Although Civil Air Patrol aircraft in Bethel flew the area, the searchers failed to locate the aircraft. An Air National Guard HH-60 launched from JBER, but was forced to turn back because of adverse weather conditions. Civil Air Patrol and the Air National Guard will continue their search of the area today.